We compared the effect of biphasic, basal or prandial insulin regimens on glucose control, clinical outcomes and adverse events in people with type 2 diabetes. We searched the Cochrane Library, MEDLINE, EMBASE and major American and European conference abstracts for randomised controlled trials up to October 2008. A systematic review and meta-analyses were performed. Twenty-two trials that randomised 4,379 patients were included. Seven trials reported both starting insulin dose and titration schedules. Hypoglycaemia definitions and glucose targets varied. Meta-analyses were performed pooling data from insulin-naive patients. Greater HbA1c reductions were seen with biphasic and prandial insulin, compared with basal insulin, of 0.45% (95% CI 0.19–0.70, p = 0.0006) and 0.45% (95% CI 0.16–0.73, p = 0.002), respectively, but with lesser reductions of fasting glucose of 0.93 mmol/l (95% CI 0.21–1.65, p = 0.01) and 2.20 mmol/l (95% CI 1.70–2.70, p < 0.00001), respectively. Larger insulin doses at study end were reported in biphasic and prandial arms compared with basal arms. No studies found differences in major hypoglycaemic events, but minor hypoglycaemic events for prandial and biphasic insulin were inconsistently reported as either higher than or equivalent to basal insulin. Greater weight gain was seen with prandial compared with basal insulin (1.86 kg, 95% CI 0.80–2.92, p = 0.0006). Greater HbA1c reduction may be obtained in type 2 diabetes when insulin is initiated using biphasic or prandial insulin rather than a basal regimen, but with an unquantified risk of hypoglycaemia. Studies with longer follow-up are required to determine the clinical relevance of this finding. Type 2 diabetes is a progressive disease  and its prevalence is projected to increase . The optimal glycaemic treatment strategy is uncertain, but intensifying glucose control reduces microvascular complication rates [3, 4, 5] and the risk of macrovascular disease [4, 5, 6, 7, 8]. Initiating insulin therapy is recommended when diet and oral hypoglycaemic agents (OHAs) fail to maintain an HbA1c <7% [9, 10] and the majority of patients become insulin-requiring over time by this criterion . However, most patients in Europe and America have inadequate glucose control [12, 13], reflecting in part delays in initiating insulin therapy . The choice of an initial insulin regimen for people with type 2 diabetes varies among clinicians with biphasic, short-acting and intermediate or long-acting insulin formulations being used. Whichever is chosen, starting insulin alongside rather than instead of OHAs improves glycaemic control and reduces the required daily insulin dose [11, 15, 16]. Biphasic insulin accounts for the majority of insulin prescriptions, as worldwide figures show greater consumption of biphasic insulin than either short- or long-acting insulin . There is, however, no conclusive evidence base to support the predominance of a biphasic regimen. Recent reviews have focused on comparing biphasic conventional with biphasic analogue insulins rather than on assessing the superiority of a biphasic regimen [15, 18]. In the UK the National Institute for Health and Clinical Excellence reviewed insulin efficacy data at initiation (although without considering short-acting insulin) and recommended basal over biphasic insulin, unless HbA1c was >9.0% . Clinical practice recommendations from reviews based on selected rather than systematically appraised evidence suggest that basal or biphasic regimens be used once daily at initiation [9, 20, 21]. These recommendations are based on three perceived advantages: the approach is simple; there are possible benefits of supporting remaining pancreatic beta cell function in early disease; and the level of HbA1c may be reduced by targeting fasting glucose . However, the physiological profile of prandial insulin, either alone or with basal insulin also has theoretical advantages but is not widely used as an initial regimen. Published analyses of randomised controlled trials (RCTs) have focused on comparing analogue with conventional insulin in the same regimen  or on comparing insulin with and without OHAs . The clinician’s choice of regimen would be guided more accurately if the comparative effects on both glycaemic control and rate of side effects were known. We performed this systematic review to assess the efficacy and acceptability of the common choices of insulin regimen, with or without OHA continuation. Trials were included in the review if they compared different insulin regimens using basal, prandial or biphasic insulin formulations and recruited patients >18 years old with a diagnosis of type 2 diabetes as defined by criteria current at the time of the trial [24, 25]. Trials were rejected if (1) the use of OHAs was unbalanced across study arms, (2) the intervention time was <3 months, or (3) comparisons were between analogue and conventional insulin within the same regimen. Data were collected on outcomes of mortality, morbidity, glycaemic control (HbA1c), fasting glucose, postprandial glucose (PPG), weight gain, hypoglycaemic event rate and quality-of-life measurements. The Cochrane Controlled Trials Registry (third quarter 2008), MEDLINE (1966 to October 2008) and EMBASE (1980 to October 2008) were searched using the Cochrane Collaboration Endocrine and Metabolic Disorders Group strategy for type 2 diabetes and RCTs , plus terms to identify trials using long-acting, short-acting and biphasic insulins. Reference lists of identified trials and relevant reviews were searched. Abstracts of international diabetes meetings were hand-searched to identify unpublished relevant trials. Registered trial lists were searched for unpublished data (Current Controlled Trials [www.controlled-trials.com]; UK National Research Register [www.update-software.com/National]; and National Institutes of Health [http://clinicalstudies.info.nih.gov]; accessed 1 October 2008). Two reviewers (D. S. Lasserson and A. J. Farmer) identified relevant publications and abstracted the data, and any disagreements were resolved by consensus and discussion with a third reviewer (P. Glasziou). Methodological quality was scored using criteria set out by Jadad et al. with an additional point given if the analysis was by intention-to-treat. Data were analysed according to the Cochrane Handbook for Systematic Reviews of Interventions 4.2.5  using Review Manager (Version 4.2.7; Update Software, Oxford, UK). The mean change in the outcome variables over the study period was recorded from tables or figures (SDs if unavailable were imputed using either a correlation of 0.5, or one calculated from studies where such data were reported). Data from patients with similar pre-study insulin exposure were pooled in meta-analyses for all available outcomes, to allow for generalisation of results to patients either starting insulin or switching insulin regimens. The inverse variance method was used to calculate an overall effect (weighted mean difference) for each comparison of insulin regimens. For crossover studies only first-period data were included where available unless within-person differences with appropriate measures of dispersion were quoted or could be estimated from test statistics . Data from three-arm trials were pooled such that each group only appeared once in any meta-analysis. If significant heterogeneity was present at p = 0.1  the meta-analysis was repeated using a random-effects model  and potential sources were explored with analysis of subgroups [31, 32, 33], which were pre-specified as OHA use, insulin type (analogue, conventional), quality score (<3, ≥3), titration reporting, fasting glucose target (<7, ≥7 mmol/l) and baseline glycaemic control (<9%, ≥9%). Funnel plots and a simple graphical test were used to look for evidence of small study and publication bias . Figure 1 shows the flow diagram of studies . The majority of references screened did not identify potentially relevant trial reports. Twenty-two trials, which randomised a total of 4,379 patients, met the inclusion criteria. The characteristics of these patients and the insulin regimens examined are shown in Table 1. Scores of methodological quality were generally low (median score = 3, range 2–5). Nine trials fully described the randomisation process. One trial had patients and care providers blinded to allocation, and 12 had a clear intention-to-treat analysis. Reports of the interventions showed variable detail (Table 1). Twenty-one trials reported fasting glucose targets (median 7.0, range 6.1–8.9 mmol/l). Thirteen trials reported PPG targets (median 10, range 7–10 mmol/l). Eleven trials reported data on insulin starting doses and eight trials reported titration steps ranging from 2 units to 20% of daily dose. Definitions of hypoglycaemia, where reported, also varied (Table 1). Ten trials recruited a total of 2,160 patients with a median follow-up period of 5 months (range 3–12 months). Pooling five trials that presented appropriate data and recruited insulin-naive patients [36, 37, 38, 39, 40], showed that, compared with basal insulin, biphasic insulin reduced HbA1c by a further 0.45% (95% CI 0.19–0.70, p = 0.0006), but this varied considerably between studies (I 2 = 66.1%) (Fig. 2a). Heterogeneity was not explained by OHA use, reporting insulin titration or baseline diabetic control. Three trials, which did not quote measures of dispersion [41, 42, 43], showed either a small HbA1c reduction in favour of biphasic or no significant difference. Two trials [44, 45], which recruited patients already using insulin, showed greater reductions with biphasic insulin (0.5% and 0.4%, respectively). Eight trials reported either mean or median final insulin doses with all trials reporting larger amounts for biphasic than basal insulin. Pooling four trials that recruited insulin-naive patients [36, 37, 39, 42] showed that, compared with biphasic insulin, basal insulin reduced fasting self-monitored blood glucose (SMBG) by a further 0.93 mmol/l (95% CI 0.21–1.65, p = 0.01) but with high heterogeneity (I 2 = 55.9%) (Fig. 2b). Heterogeneity was not explained by fasting glucose target or baseline diabetic control. Of the remaining unpooled trials, two showed higher fasting glucose values in the biphasic group (in combined crossover data  or without reporting measures of dispersion ), one did not quote fasting values , one found no difference in fasting measures  and two with patients already taking insulin reported a higher percentage of the basal group reaching a target fasting value [44, 45]. Nine trials reported PPG measures. Three found a significant reduction in mean PPG for all meals with biphasic insulin [36, 43, 44] and four showed a reduced PPG rise that was statistically significant for breakfast (0.8 vs 2.5 mmol/l, p < 0.001 , 0.94 vs 2.63 mmol/l, p = 0.012 , 1.89 vs 3.07, p < 0.01, , 1.26 mmol/l difference p < 0.0001 ) and evening meals (0.79 vs 2.55 mmol/l, p < 0.001 , 1.06 vs 2.32 mmol/l, p < 0.05 , 1.33 mmol/l difference ). One reported a greater proportion of biphasic arm patients reaching PPG targets after lunch and supper  and one reported no significant difference in PPG values . Pooling four trials [36, 37, 39, 40] showed that, compared with basal insulin, biphasic insulin was associated with a non-significant greater weight increase of 1.29 kg (95% CI −0.43, 3.03, p = 0.15) (Fig. 2c). Two trials did not report change in weight [41, 42]. One reported weight loss with basal insulin in non-naive patients  and three crossover trials reported reduced weight gain with basal insulin without within-person differences [38, 43, 44]. Pooled analysis was not possible due to variation in definitions of hypoglycaemia and lack of measures of dispersion. Only one trial reported the occurrence of major events (requiring third-party assistance) in either group . Minor hypoglycaemic events were significantly increased for biphasic insulin in five trials [36, 38, 39, 43, 45] with no difference reported in the remaining trials. Seven trials that recruited a total of 1,216 insulin-naive patients with median follow-up of 6 months (range 3–12 months) compared a short-acting prandial insulin with basal insulin. Pooling seven trials [36, 37, 46, 47, 48, 49, 50] showed that, compared with basal insulin, prandial insulin reduced HbA1c by a further 0.45% (95% CI 0.16–0.73, p = 0.002) (Fig. 2d) but with significant variation between the trials (I 2 = 70.6%). Heterogeneity was not explained by use of OHAs, baseline diabetic control, reporting of insulin titration, use of analogue rather than conventional insulin or quality score. Five trials reported final insulin doses and all were greater for prandial insulin. Pooling six trials [36, 37, 46, 47, 48, 49] showed that, compared with prandial insulin, basal insulin reduced fasting SMBG by a further 2.20 mmol/l (95% CI 1.70–2.70, p < 0.00001) (Fig. 2e) but this varied considerably between studies (I 2 = 44.0%). The SD of change was imputed in one trial , assuming a correlation of 0.35 calculated from a trial where data were available . Heterogeneity was not explained by the use of OHAs, fasting targets, baseline diabetic control, titration reporting, use of analogue rather than conventional insulin or quality score. Five trials reported PPG measures. Three reported greater reductions in PPG after all meals with prandial insulin [36, 47, 50] and two reported reduced glucose excursions with prandial insulin, either after all meals (2.1 vs 0.1 mmol/l, p < 0.001 ) or after a test meal (10.9 vs 12.2 mmol/l, p = 0.052 ). Pooling six trials [36, 37, 47, 48, 49, 50] showed that, compared with basal insulin, prandial insulin increased weight gain by a further 1.86 kg (95% CI 0.80–2.92, p = 0.0006) (Fig. 2f) but this varied between studies (I 2 = 85.4%). Heterogeneity was not explained by use of OHAs, use of analogue insulin, baseline diabetic control or reporting of insulin titration. A significant excess increase in BMI was reported for prandial insulin in one study . Pooled analysis was not possible due to variation in definitions of hypoglycaemia and lack of measures of dispersion. Two studies reported significantly increased rates of hypoglycaemia with prandial insulin [36, 47]. Only one study reported the occurrence of major hypoglycaemia requiring third-party assistance but with similar rates in prandial and basal groups . No significant differences were found in frequency of events between prandial and basal insulin in four studies [37, 46, 49, 50] and a further study did not report data  (Table 1). Two trials compared a basal-bolus regimen with basal insulin. One recruited 30 patients already using insulin for 3 months  and the other recruited 38 insulin-naive patients for 6 months . Both trials showed significantly greater reductions in HbA1c with basal-bolus regimens (between-treatment difference 0.6%, p < 0.001 , absolute reduction 1% vs 0.4%, p < 0.03 ). Fasting glucose values were not significantly different in the two trials. Basal-bolus insulin reduced PPG after lunch and dinner in one trial  and resulted in no change in another . Similar weight gain was reported in one study  and rates of hypoglycaemia did not differ significantly. Three trials that recruited 740 insulin-naive patients with median follow-up of 6 months (6–12 months) compared biphasic with prandial insulin [36, 37, 53]. Pooling three trials showed that biphasic insulin was associated with a non-significant difference in HbA1c reduction of 0.05%, (95% CI −0.12, 0.22, p = 0.59), although one trial  had over 80% of the weighting of the pooled result, partly due to the much larger sample size. Pooling two trials [36, 37] showed that biphasic insulin was associated with a non-significant further reduction in fasting SMBG of 0.65 mmol/l (95% CI −0.54, 1.84, p = 0.29). Two trials reported postprandial measures: one with a significant reduction in PPG with prandial insulin (−4.6 vs 3.7 mmol/l, p < 0.001 ) and another with a similar but not statistically significant reduction (−3.0 vs −2.8 mmol/l ). Pooling three trials showed that biphasic insulin was associated with a non-significantly greater reduction in weight of 0.19 kg (95% CI −1.16, 1.54, p = 0.79). No major hypoglycaemic events were reported. One trial reported significantly increased minor hypoglycaemia with prandial insulin  and one reported a non-significant increase with prandial insulin . Four trials recruited 1,061 patients already using insulin with a median follow-up of 4 months (3–6 months). Data presented were not sufficient for meta-analysis. Two trials compared prandial biphasic [54, 55] and one compared twice-daily biphasic  with basal-bolus insulin and showed no difference in HbA1c reduction. One trial found greater HbA1c reduction with prandial (and discretionary basal) insulin compared with once- or twice-daily biphasic insulin . Lower fasting glucose and PPG with basal-bolus therapy were found in one trial, which had significantly greater total insulin daily dose in that arm . Three trials reported similar weight gain in both study arms [54, 55, 57]. Similar rates of all hypoglycaemic events were reported in three trials [54, 55, 57] and two trials reported similar rates of severe hypoglycaemia [54, 55]. No trials assessed morbidity and mortality. Patient satisfaction was rarely and inconsistently reported. The dataset was too small to assess publication bias. Of 22 trials, 15 provided sufficient information for meta-analysis but with considerable variation in titration methodology (where reported), glycaemic targets and definitions of hypoglycaemia. Both biphasic and prandial insulin were associated with a greater reduction in HbA1c, compared with basal insulin, but this effect was not consistent across pooled trials. Conversely, basal insulin was associated with greater reductions in fasting glucose compared with biphasic and prandial insulin with most trials reporting less improvement in PPG control with basal insulin. Biphasic insulin produced similar outcomes when compared directly with prandial or with basal bolus regimens. The effect of the different insulin regimens on hypoglycaemia event rates could not be pooled in a meta-analysis, which means that a potentially important finding may have been missed given that individual trials were not powered to detect differences in major hypoglycaemic events. Weight gain was only increased significantly with prandial insulin compared with basal insulin. We calculated effect estimates of insulin regimens by pooling studies where the use or non-use of OHAs was balanced across treatment arms. We also pooled trials using regular and analogue insulin, since a recent meta-analysis suggests that there is no clinically significant difference in efficacy as measured by HbA1c . Examination of the pooled results for heterogeneity did not identify any differences that might arise from the use or non-use of OHAs, or from the use of analogue rather than conventional insulin. In addition, trials on purely insulin-naive patients were analysed separately to estimate relative effects of different regimens at insulin initiation. Our results should be interpreted with caution given that the majority of trials were of low methodological quality and we were unable to perform full subgroup analyses of heterogeneity for all comparisons. With a larger number of trials, heterogeneity in HbA1c may be more appropriately investigated using meta-regression for continuous baseline variables, e.g. pre-study HbA1c, rather than dichotomising variables for subgroup analysis. The forest plots show that heterogeneity was predominantly quantitative rather than qualitative and there may be some inaccuracy in effect size estimates. Heterogeneity remained unexplained for all pooled comparisons and this could be due to small numbers of studies (which limits relevant subgroup comparisons) or inherent variation in insulin titration which was not quantifiable (although suggested by differences in final insulin doses). Titration protocols were sufficiently reported in only a few trials and different glycaemic targets are likely to produce differences in HbA1c reduction. Critically, the trials were too short to assess vascular event rates or other clinical outcomes; indeed only three trials were >12 months. The quality-of-life assessments could not be pooled. Hypoglycaemia was not uniformly defined and event rate data were not reported with measures of dispersion, thus preventing meta-analysis. Biphasic and prandial insulin regimens may lead to better glycaemic control than basal insulin when used as initial insulin therapy. This is important, as early glucose control may reduce the development of complications . The UKPDS demonstrated that a sustained difference of 0.9% in HbA1c between conventional and intensive glucose control policies was associated with a relative reduction of 25% in microvascular complications . The greater mean reductions in HbA1c reported here for both prandial and biphasic insulin of 0.45%, if sustained in the long-term, may well equate to a relative reduction in complications of up to half that seen in the UKPDS. However, we excluded trials with an unbalanced use of OHAs and, given that in routine clinical practice biphasic and prandial insulins are rarely combined long-term with sulfonylureas, we could not assess whether either of these regimens used alone would be superior to basal insulin combined with a sulfonylurea. Furthermore, any improvements seen in HbA1c in these short-term trials may not be sustained over a longer time period. This is particularly important in interpreting comparisons between biphasic and basal insulin where the basal components in one regimen are being administered twice daily and in the other, once daily. Twice-daily dosing allows greater opportunity for dose titration and in the short-term this may result in a greater HbA1c reduction. Significantly increased weight gain was seen with prandial compared with basal insulin, the greatest difference being when insulin detemir was used as a basal insulin . Although there is some evidence that insulin detemir may result in less weight gain compared with conventional basal insulin , this may not be the case for other analogue insulins . It is claimed that patients prefer basal insulin due to its simplicity and the reduced frequency of injections and monitoring . Patient satisfaction assessments have not been sufficiently reported in this review to assess whether this perception of patient preference is true. No trials reported differences in major hypoglycaemic events in the comparisons with basal insulin, but we could not estimate the size of any effect of regimen on minor hypoglycaemic events. The improvement in HbA1c with prandial and biphasic insulin relative to basal insulin occurred despite poorer control of fasting glucose. However, some authors have argued that fasting values are more significant determinants of glycaemic control [20, 22]. Furthermore, half the patients in the biphasic trials were poorly controlled and previous evidence has suggested that the contribution of fasting glucose to HbA1c increases at higher values of HbA1c . There is emerging evidence that controlling postprandial glycaemia is important in the reduction of vascular risk. Postprandial glucose was an independent risk factor for 5 year cardiovascular event risk in type 2 diabetes even when HbA1c was included in modelling . The STOP-NIDDM trial  showed a reduction in cardiovascular events in patients with impaired glucose tolerance given acarbose to reduce postprandial glucose without a significant change in HbA1c. The DECODE study  showed glucose values after oral loading, and not fasting plasma glucose, to be an independent predictor of cardiovascular mortality. Our conclusions are limited by the small number of trials, together with variations in definitions and insulin dosing. However, a greater reduction in HbA1c for insulin-naive patients with type 2 diabetes can be achieved with a prandial or biphasic compared with a basal insulin regimen, but at the expense of greater weight gain and an unquantified risk of hypoglycaemia. In order for clinicians and patients to make informed choices about the risk and clinical benefit of different regimens, long-term outcome data are required from rigorously conducted trials that use standardised glycaemic targets, titration protocols and definitions of hypoglycaemia. The Department of Primary Health Care, University of Oxford is part of the National Institute of Health School for Primary Care Research. D. S. Lasserson is funded by the NIHR funding scheme. 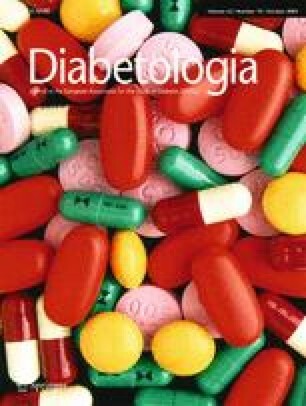 Goudswaard AN, Furlong NJ, Valk GD, Stolk RP, Rutten GEHM (2004) Insulin monotherapy vs combinations of insulin with oral hypoglycaemic agents in patients with type 2 diabetes mellitus. Cochrane Database Syst Rev, Issue 4. Art. No. : CD003418. doi: 10.1002/14651858.CD003418.pub2.